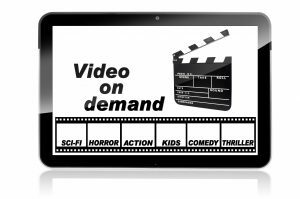 Redbox famous for its iconic DVD-rental fridges located next to stores in towns all over America is trying out video on demand (VOD). They will be releasing their new Redbox On Demand service through mobile apps and home streaming devices such as Roku, Apple TV, Chromecast and TVs with integrated apps. Redbox is offering their 48-hour rentals for a fee of $3.99 and is promising that the same movies available at their kiosks will be available on demand. Redbox has also stockpiled a ton of old movies you can choose to rent with this new service. No one is denying that the future is streaming right along and with it must come every company who wants to stay afloat. Redbox said that their customers demanded this new service and they are delivering. Their most significant competition for this new venture will be current VOD services like Amazon Video, Google Play, Vudu, and iTunes.